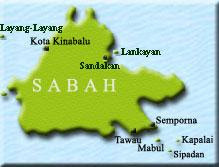 Kristang is an ethnic group of people from a mix of Malaccan and Portuguese descent, originated after the conquest of Malacca by the Portuguese in 1511. 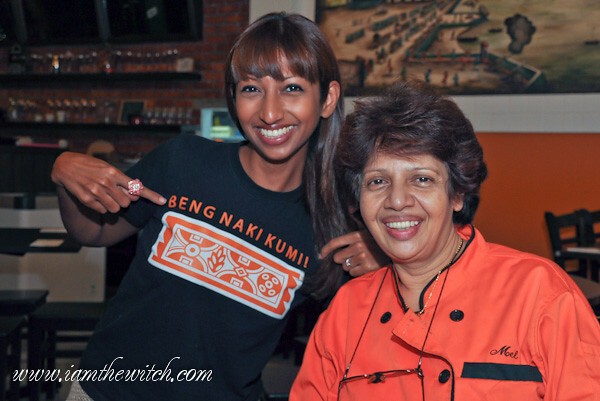 While there are not many people of this ethnicity around the Klang Valley, I was fortunate to know a lovely person by the name of Alison, who is from the same descent. 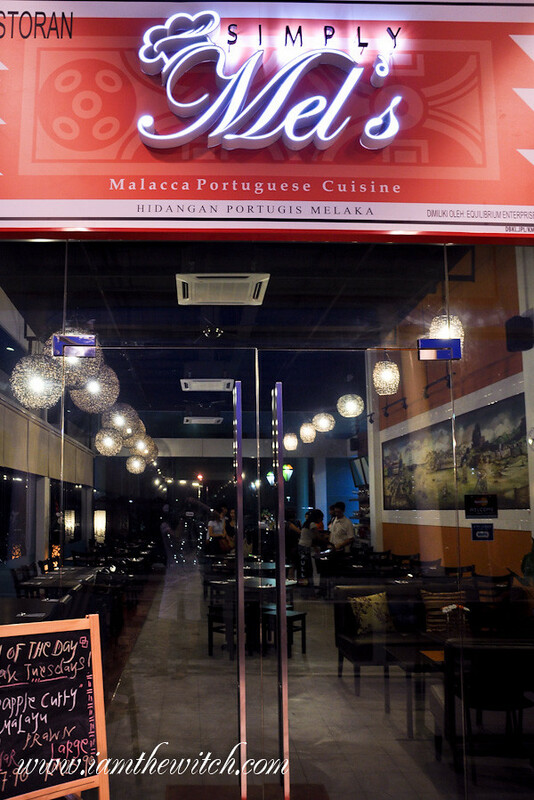 Her love and passion for food must have run in the family, for Simply Mel’s was born recently – a restaurant that specializes in Malaccan Portuguese cuisine, with her mom Melba as the head chef. 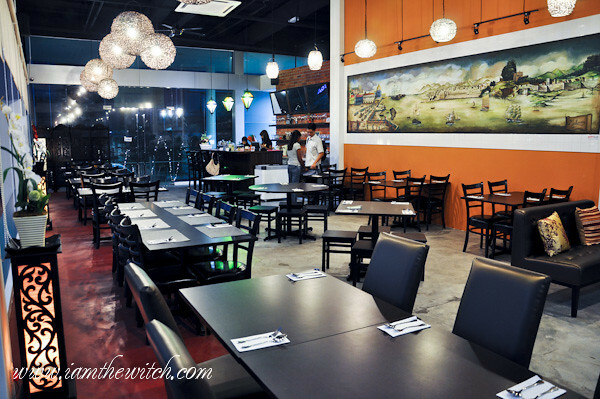 Simply Mel’s is located in The Sphere, Bangsar South, a building that is filled with restaurants and coffee shops mainly catering to the working community in the surrounding area. It was my first time there, and I thought the place was really comfortable – easy and free parking (first 2 hours), spacious and no traffic jam! Ideal, isn’t it? 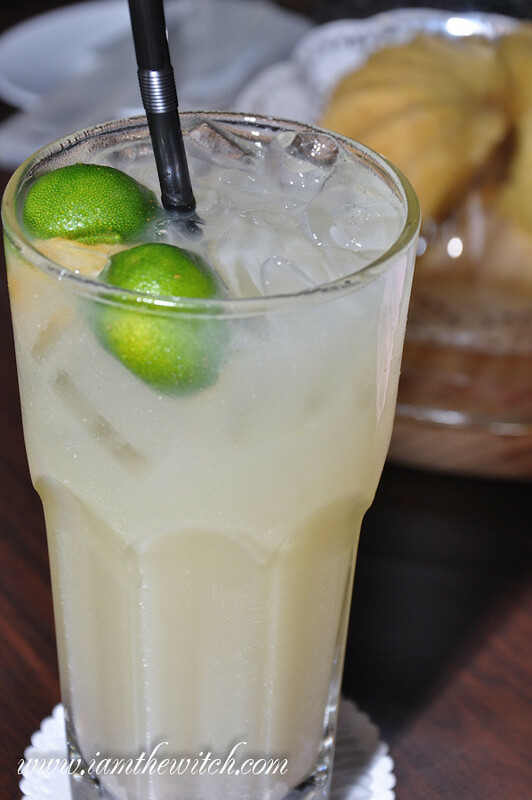 I seldom raved about beverages in my food reviews, but I had to do so for this Assam Boi drink that was a combination of sour and sweet with a cooling finish, such a refreshing start before dinner. 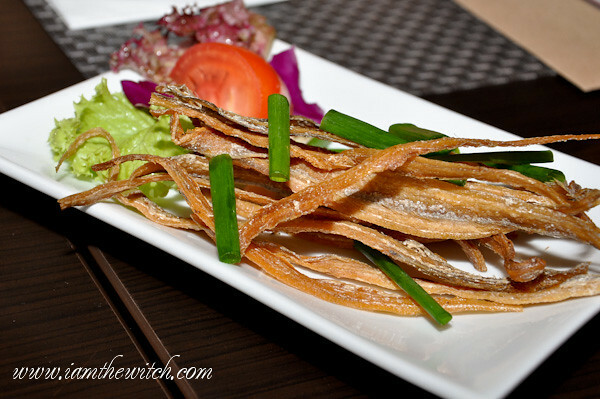 We were also served a plate of Karing-Karing (dried threadfish) which looked like giant ikan bilis, as appetizers. These were very crispy and addictive, though having too much of these would be too salty. 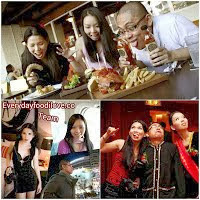 Everything in moderation! 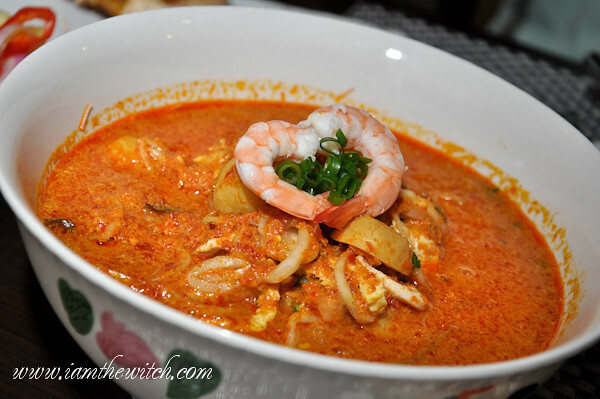 It’s no secret that I’m a big fan of spicy food, so when the bowl of fiery red Mel’s Malacca Laksa came, I couldn’t keep my eyes off of it! 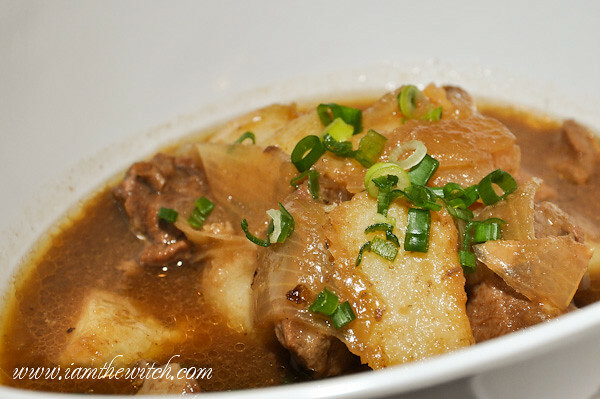 This was prepared with rice vermicelli in an aromatic coconut broth, fragranced with daun keso and lemongrass. 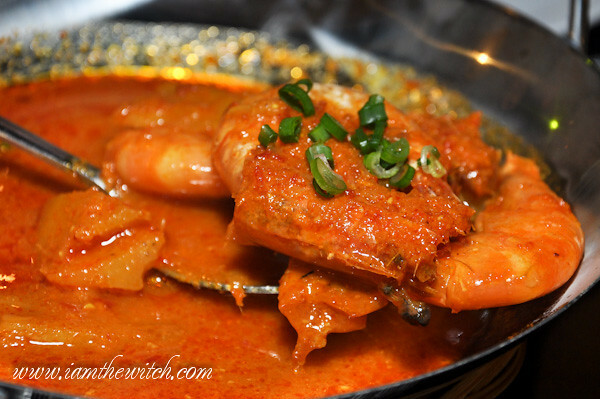 I don’t know how she did it but I swear I could taste the coconut cream, the lemongrass and the lime used in this broth, on top of being spicy. What a plethora of flavours! 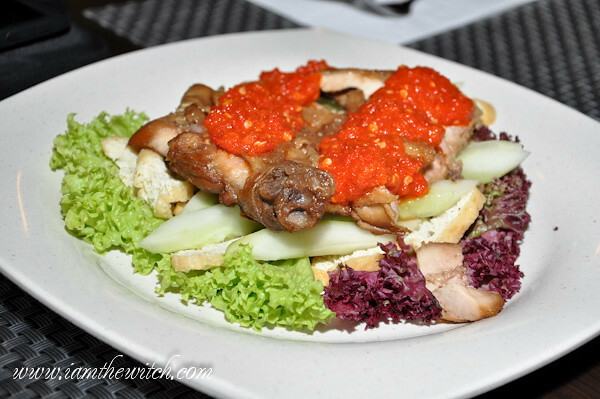 It was not overly rich and it’s sufficiently spicy, I loved it. 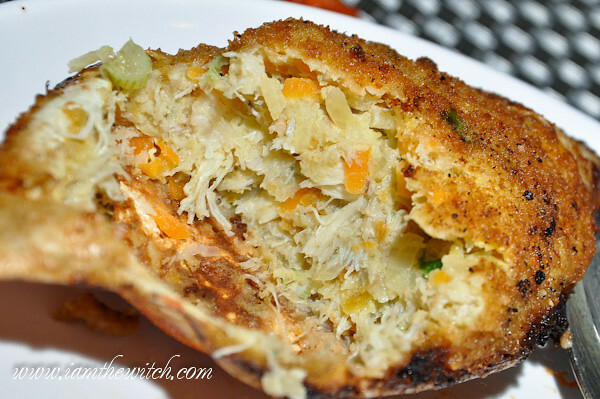 Crab Stuffing was such a labour of love! 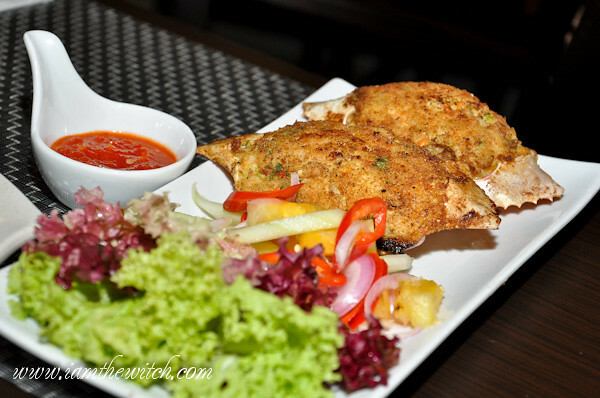 I have mentioned in my blog before that I am not a fan of crabs simply because it takes too much effort just to extract a small amount of meat from its hard shell. Now, imagine someone who not only extracted the crab meat out, but combined it with diced turnip, carrots, prawns and onions, before frying and serving them nicely in a crab shell. The effort and the thoughtfulness in this dish moved me. 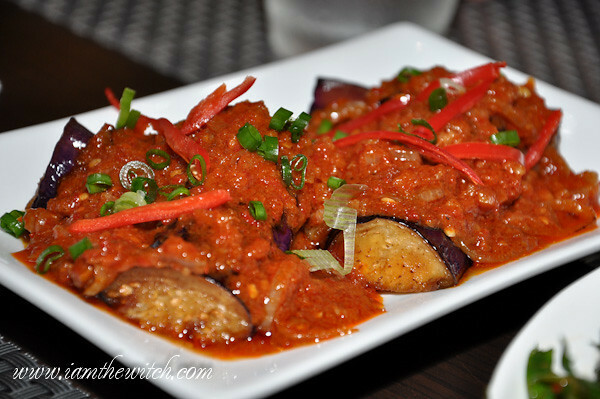 Terung Sambal, or pan-fried eggplant with Mel’s Sambal, was a dish that I wouldn’t have enjoyed a few years ago. I grew up hating eggplants (hate is a strong word, I know) thinking that they were too soft and mushy for my liking. 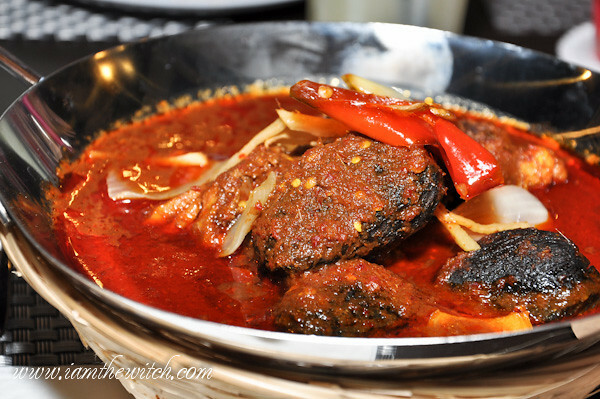 Little did I know that when eggplant was cooked with sambal, it became this whole new dish that has now become my weakness. The soft and spongy texture of the eggplant just soaked up the savoury and spicy sambal, making it irresistible and moreish, perfect with rice. This was very good. Of course, we had to have Mel’s Cincalok Omelette, for this is one of the signature Malaccan dishes that one must not miss. 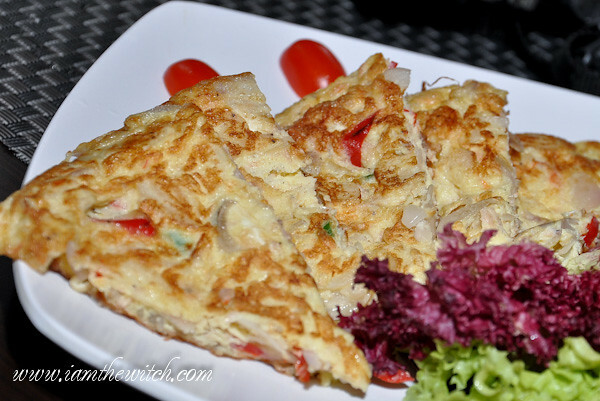 The fluffy pan fried omelette was cooked with onions, chili and cincalok – simple yet delicious. Finally, it was time for desserts! 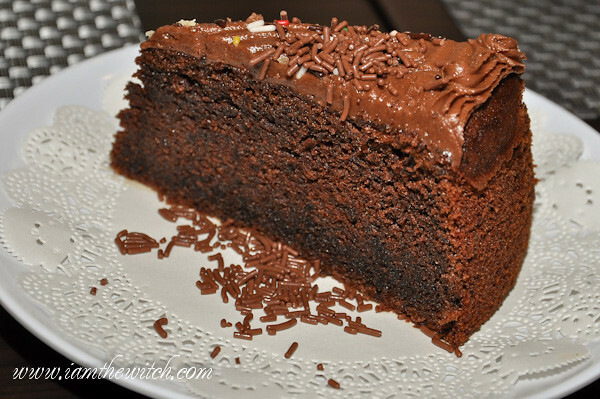 Mel’s Ol’ Fashioned Chocolate cake was very moist without being oily. If you’re worried about it being too sweet, you can skip the icing layer on top, and stuff yourselves silly with the moist cake – it was rich, chocolatey and not overly sweet. Thumbs up! For something warm, the Pulut Hitam was really quite comforting. 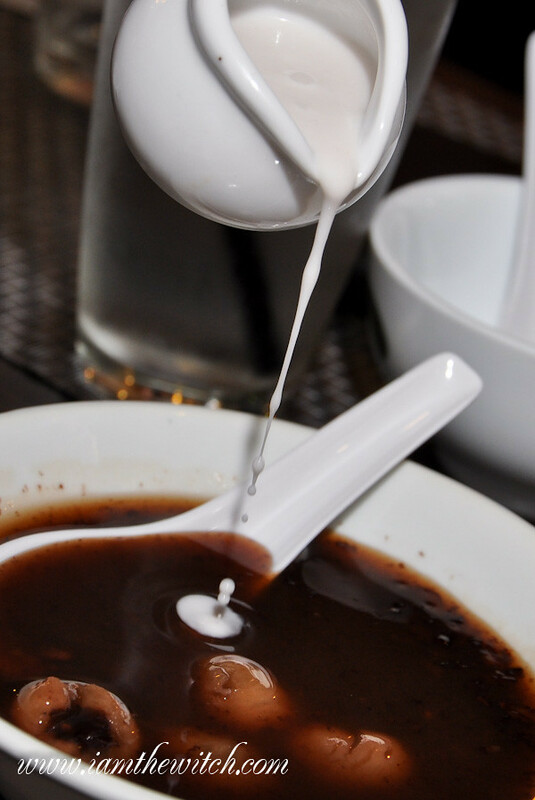 Black glutinous rice dessert was served with a dollop of coconut cream if you wish and most importantly, loaded with longans. Not only is black glutinous rice high in fibre, this combination of a dessert was most delectable. 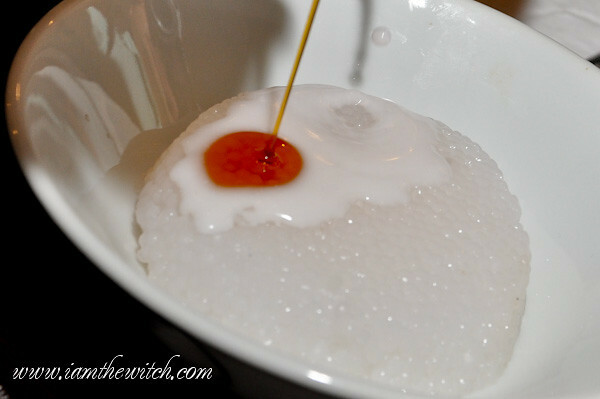 But if I had to pick a dessert from Simply Mel’s, it would have to be the Sago Biji – gloriously bouncy sago pearls topped with rich coconut milk and a generous amount of palm sugar (gula melaka), proved to be a potent combination that even a full stomach could not resist. This was decadent!